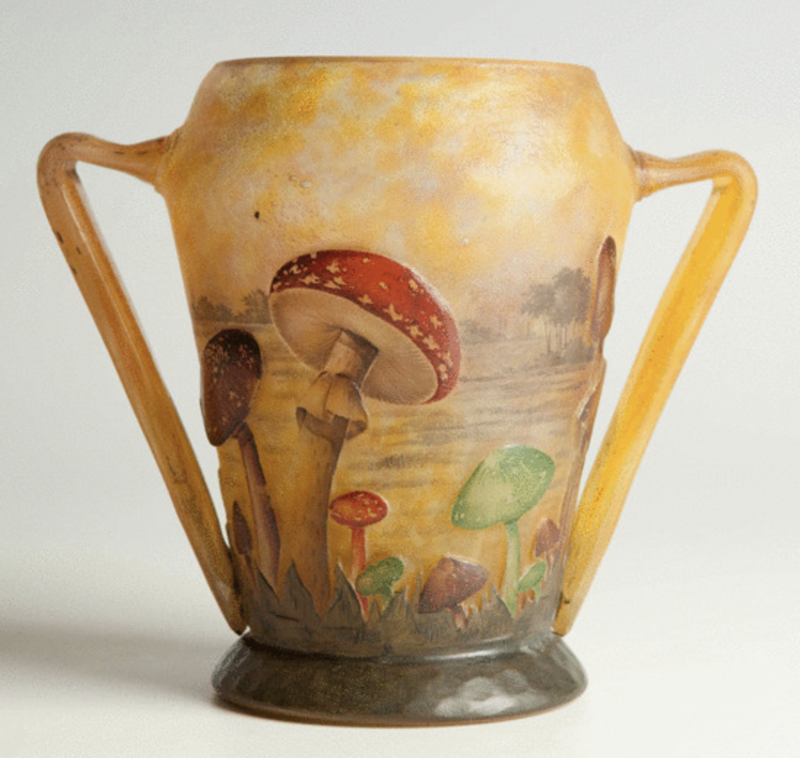 Rare Daum mushroom vase with two handles and a landscape background. Normally you find these vases in the musea, like for example the museum in Dusseldorf has 6 of these vases in the collection of Gerda Koepff. In the book about this collection it is from page 224 till 229. When you compare these vases to the one we have for sale, you see that the enamelling is in mint condition and that ours is the only one that has a background picture which gives more depth to the vase. It gives a little extra. The two handles are a beautiful addition as well.